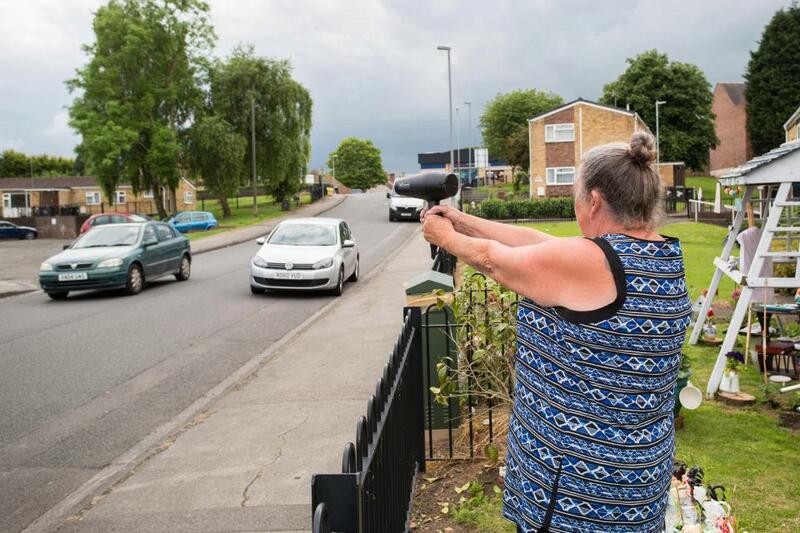 When one lady grew tired of scofflaw drivers speeding through her neighborhood, she took matters into her own hands, and got some instant results. Standing at the edge of her yard, she pointed what appeared to be a radar gun at approaching vehicles that were exceeding the speed limit. Without fail, the lead-footed drivers would ease off the accelerator and slow down. Little did they know that she wasn’t actually holding a radar gun. She was pointing her hair dryer at them! People’s behavior tends to improve dramatically when they think that someone in authority might be watching them. And the fact that Jesus is watching us should encourage us to try to do the right thing! “…The Judge is standing at the door!”—James 5:9. This entry was posted in Christian Living, Humor and tagged hair dryer, illustration, James 5:9, lady slows speeders, obedience, radar gun, speeding drivers. Bookmark the permalink.